How CRISPR Gene Editing Tool Went From Labs To A Middle-School Classroom : All Tech Considered Some compare the democratization of personal computing in the 1970s to the current changes in access to genetic engineering tools, in part thanks to the CRISPR gene editing tool. 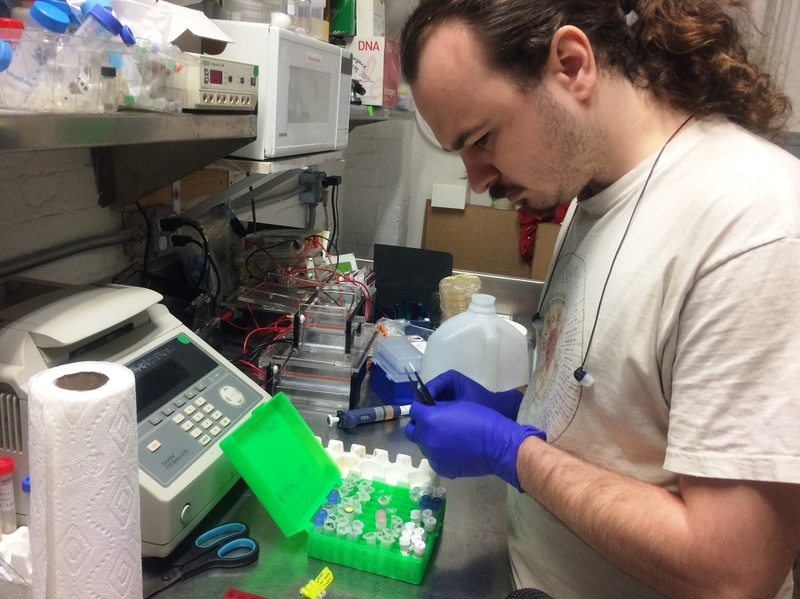 Will Shindel prepares for a gene-editing class using the CRISPR tool at a Brooklyn community lab called Genspace. On a Saturday afternoon, 10 students gather at Genspace, a community lab in Brooklyn, to learn how to edit genes. There's a recent graduate with a master's in plant biology, a high school student who started a synthetic biology club, a medical student, an eighth grader, and someone who works in pharmaceutical advertising. "This is so cool to learn about; I hadn't studied biology since like ninth grade," says Ruthie Nachmany, one of the class participants. She had studied anthropology, visual arts, and environmental studies in college, but is now a software engineer. In the 1970s, personal computers emerged from labs and universities and became something each person could have. That made it possible for people like Nachmany to become a professional programmer despite not having studied it in school. Some compare that democratization of personal computing in the '70s to the current changes in access to genetic engineering tools. In 2015, the journal Science declared the gene editing tool CRISPR Cas9 the breakthrough of the year. It let scientists make changes in DNA of living cells easier and cheaper than before. Today, the CRISPR tool is no longer something that only researchers do in labs. You can take classes in gene editing at a community lab. You can buy a $150 kit to do it at home. Some middle schoolers are doing it in their science classes. Genspace lab manager Will Shindel, who teaches the genome-editing class, says his students are usually professionals who want to learn a new career skill or curious everyday people. "They just know that it's this word that everybody's throwing around," Shindel says. "It's either going to lead to the singularity or the apocalypse." Shindel, a biologist by training, is one of many people now dreaming about and starting synthetic biology projects using the CRISPR tool. With some friends, he is working on genetically engineering a spicy tomato. Some people are trying to make bacteria produce insulin. At Acera, an elementary and middle school in Massachusetts, 13-year-old Abby Pierce recently completed a CRISPR experiment, genetically modifying bacteria so that it could grow in an antibiotic that would have killed it otherwise. Pierce's science teacher, Michael Hirsch, made the argument to get genetic engineering kits for his science students to experiment with in class. "It's going to take molecular bio out of the 'Oh man, cool, they do it in labs' to 'Wait, we can do this in our homes,' " Hirsch says. "We could do things like create pigments, and create flavor extracts, and all of these really nifty things safely and carefully in our kitchens." In fact, the University of Pennsylvania's Orkan Telhan argues, genetic engineering will become an increasingly important skill, like coding has been. Telhan is an associate professor of fine arts and emerging design practices and he worked with a biologist and an engineer on a desktop machine that allows anyone to do genetic engineering experiments, without needing a background in biology. "Biology is the newest technology that people need to learn," Telhan says. "It's a new skill set everyone should learn because it changes the way you manufacture things, it changes the way we learn, store information, think about the world." As an example of a recent application, Telhan points to an Adidas shoe made from bioengineered fiber, inspired by spider silk. Genspace Lab Manager Will Shindel mixes all the chemicals before class, so the students don't have to make calculations to dilute them during the class. "You can now take all of the gene bricks, these little parts of genetic code, categorize them as if they were pieces of code, write software using a computer, stick them in a bacteria, reboot the bacteria and the bacteria just as with computers, usually does what you think it does." Gene editing tools have already started a debate about ethics and safety. Some scientists have warned about not just intentionally harmful uses, but also potential unintended consequences or dangerous mistakes in experimentation. The German government in March sent out a warning about one kind of CRISPR kit, saying officials found potentially harmful bacteria on two kits they tested, though it's not clear how those bacteria got there. The European Centre for Disease Prevention and Control responded with a statement earlier this month that the risk to people using these kits was low — and asked EU member states to review their procedures around these kits. Earlier, the German Federal Office of Consumer Protection and Food Safety also issued a reminder that depending on the kit, genetic-engineering laws still applied, and doing this work outside of a licensed facility with an expert supervisor could lead to a fine of up to 50,000 euros ($56,000). In the U.S., then-Director of National Intelligence James Clapper in early 2016 added genome editing to a list related to "weapons of mass destruction and proliferation." But bioengineering experts say overall, the U.S. government agencies have long been monitoring the gene-editing and the DIY bio movement — "very proactive in understanding" the field, as Johns Hopkins University biosecurity fellow Justin Pahara puts it. "There is a lot of effort going into understanding the scope of DIY biology, who can do it, what can be done, what are some of the concerns, how do we mitigate risk," says Pahara, who is also a co-founder of bioengineering-kit company Amino Labs. He says DIY bio, or biohacking, poses little security concern for now, being at a very early stage. "I would suggest that just all of these discussions, including looking into the past at computing and other technologies, [have] really helped us understand that we need to dig deeper," he says. As much as the gene-engineering revolution is being compared to the PC revolution before it, bacteria are not as predictable as computers, says Kristala Prather, associate professor of chemical engineering at MIT. Her team studies how to engineer bacteria so they produce chemicals that can be used for fuel, medications and other things. 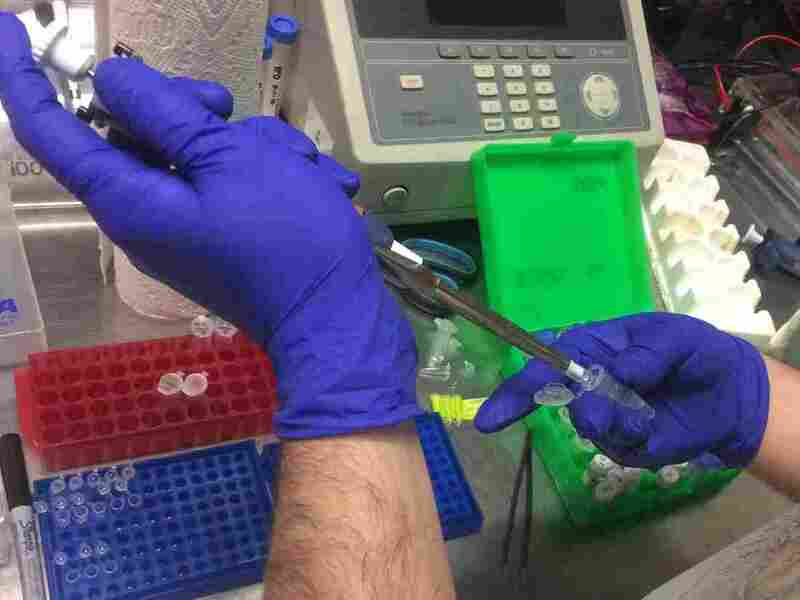 "I have a first-year graduate student ... who was lamenting the fact that even though she has cloned genes many times before, it's taking her a little while to get things to work well at my lab," Prather says. "And my response to her is that the same is true for about 80 percent of students who come into my group." Prather explains that engineering bacteria isn't quite like coding because many more variables are at play. "One of the common mistakes that people make it to assume all water is just water. The water that comes out of the tap in Cambridge is different than the water that comes out of the tap in New York," she says. "So there are very small things like that that can turn out to make a significant difference." But Prather — who remembers writing programs on a Commodore 64 computer as a 13-year-old — is nonetheless excited about the prospect of more people learning about genetic engineering through kits and classes: She says even if all this access does right now is get more people excited about becoming scientists, it's still really valuable. Alan Yu reports for WHYY's health and science show, The Pulse. This story originally appeared on an episode of its podcast called Do It Yourself.